The participants of the meeting will be 30 bishops, academics, social activists, experts, politicians, and also the youth. 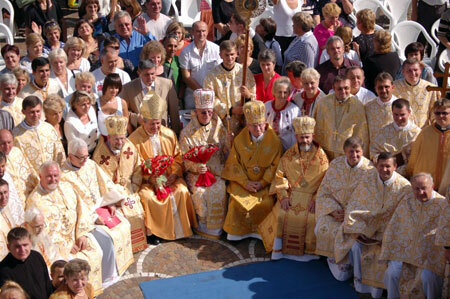 At the opening and completion of the Catholic Social Days of Europe special divine services are foreseen. 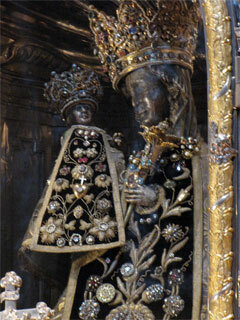 The first of them will take place on Thursday evening, headed by the Metropolitan of Milan cardinal Dioniggi Tettamansi. 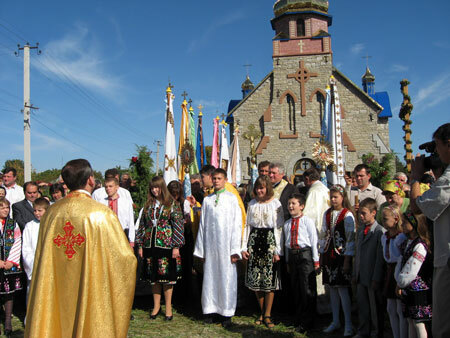 On October 4, 2009, in the village Hermakivka Mel'nytsya of the Podillya deanery of the Ternopil’ region, a reconstructed church was blessed, which was an important event for the villagers. Due to the efforts of the believers and of the pastor Father Mykhail Hryts’vik, the inactive church was returned to life and now has become an adornment of the village. On October 5, 2009, at the office of the Patriarch’s administration, the working meeting of His Beatitude Lubomyr with Extraordinary and Plenipotentiary Ambassador of the Federal Republic of Germany in Ukraine Ph.D. Gans-Yurgen Gaymziot was held. During the meeting the sides discussed the religious situation in Ukraine and the status of state-church relations. The important moment of the meeting was the exchange of ideas regarding the historical importance of the fall of the Berlin wall; in fact, this year Germany celebrates the 20th anniversary of this event.